CURTIS ENGINE OFFERS TRANSFER SWITCH MAINTENANCE AND ELECTRICAL SYSTEM TESTING TO COMPLY WITH NFPA 110 REQUIREMENTS. An Emergency Power System is made up of several different electrical components including generators, batteries, automatic transfer switches, uninterruptible power supplies, and paralleling switchgear. Periodic testing of the different components, as well as the system as a whole, is the only way to ensure that reliability of the standby power system. In addition to inspection and preventative maintenance, standby generator systems should be exercised once a week and the entire system should be tested monthly, preferably with actual loads and under simulated outage conditions. 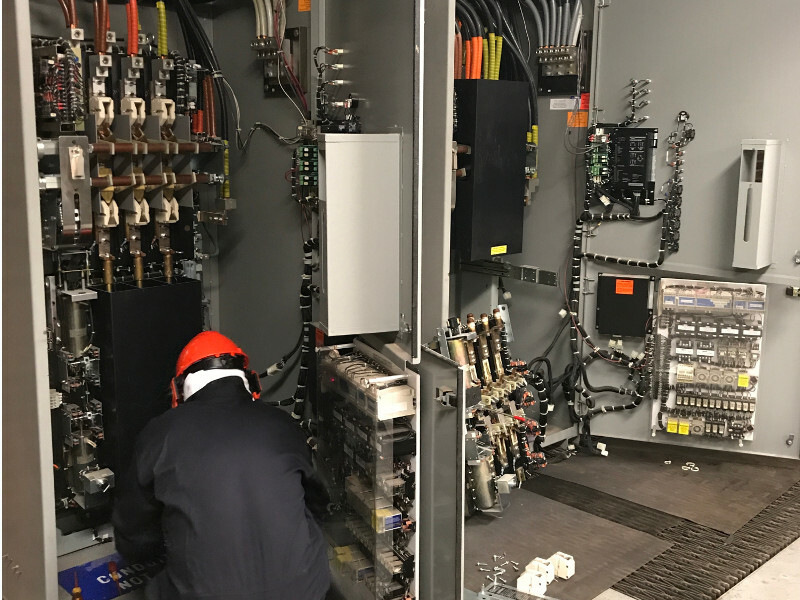 Our qualified technicians will clean, inspect and test the automatic transfer switches during our scheduled service visits. We can also provide thermographic testing using an infrared camera to detect loose connections, faulty components, and other “hot spots” in your backup power system and electrical equipment. We also perform breaker testing, meggar testing, power quality testing, insulation resistance, and functional testing as part of our suite of electrical system testing services. An automatic transfer switch (ATS) is a critical component of an Emergency Power System. It senses the loss of normal utility power, and automatically signals the generator to start and begin generating electricity. Once the backup power is available at the ATS, it checks to ensure that the power quality is within the proper ranges and then transfers the electrical loads to the emergency power supply. Thermal imaging, also know as thermographic or infrared testing, is a technique for monitoring the condition of electrical systems, as well as, the mechanical components on a generator set. It can safely and quickly detect loose electrical connections, and other “hot spots” before they fail and cause a fire or equipment damage. Our trained technicians use an infrared camera to take an image of the infrared heat waves inside your equipment and measure their temperature. This data is then analyzed and the report along with our recommendations for any repairs is provided to you and added to the permanent service file for your equipment. Equipment failure is almost always preceded with an increase in temperature. Regular surveys of the switchgear and electrical connections can identify sources of heat and resistance and are a great way to discover potential points of failure so that they can be repaired before they cause major equipment damage.